Showcasing the artistic talents of Eddie Vitch, this gallery presents a selection of his caricature of well known celebrities. 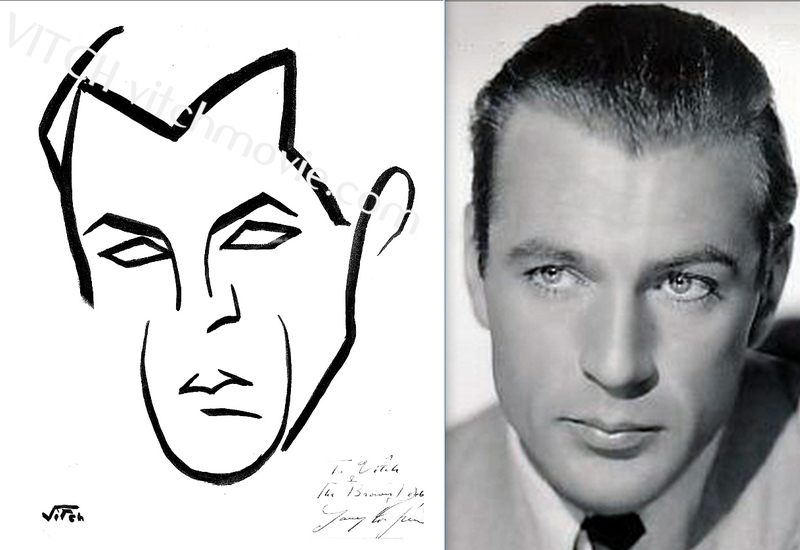 Many are from his time in 1930s at the Hollywood Brown Derby and others were drawn later in his life. Each caricature is next to a photo of the celebrity to show how with just a few deft strokes, Vitch is able to capture his subject’s expression and likeness.